Wheather you are on-board or not, BIOS is almost dead. Most PCs you buy nowadays ship with the modern UEFI rather than BIOS. In fact, by 2020 Intel no longer releases chipsets with BIOS supports. On UEFI supported systems, Windows 10 can enable additional features like Secure Boot, Trusted Boot, TPM (Trusted Platform Module), Device Gaurd, BitLocker Network Unlock, etc. So, if you've bought a PC recently or a few years back and want to check if your PC supports UEFI or BIOS, then follow the below steps you will know it in no time. Below verification methods work in Windows 7 and 8 too. Fundamentally, BIOS and UEFI are both low-level software that checks and boots your system before the actual operating system boots. One thing to note is, BIOS is released way back in the 1980s. Of course, it has been and is improving over time. But still, it is inherently limited. For instance, it cannot check or initialize multiple hardware devices at once, cannot support hard drives with more than 2.1TB, limited internal space to execute code and textures, etc. Faster startup and shutdown times. PCs with UEFI can use Secure Boot. In case you don't, Secure Boot is designed to protect Windows 10 from malware and other nasty stuff that executes in the pre-boot process. The UEFI setup screen is much cleaner and even supports mouse input. The UEFI specification supports networking which is boon for remote configuration and troubleshooting. The first method is probably the best one. All you have to is open a file and see if it says UEFI or BIOS. Just follow the steps and you should be good. 1. First off, open File Explorer with the keyboard shortcut Win + E. Alternatively, you can also open it by searching for it in the start menu or by click on the File Explorer icon in the taskbar. 2. In the File Explorer, navigate to C:\Windows\Panther\. If you've installed Windows on some other drive, modify the folder path accordingly. 3. 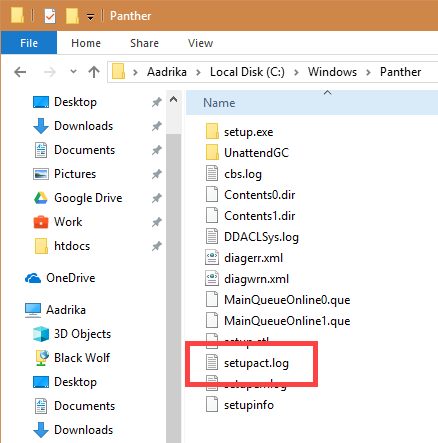 Here, find the file named setupact.log and open it. 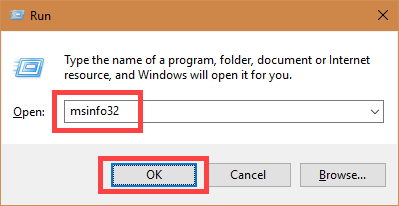 By default, the file should be opened with Notepad. If not, right-click on the file and select "Open with." Here, find and select "Notepad" from the list of programs. 4. Now, press Ctrl + F, type "detected boot environment," select the radio option "Down" and click on the "Find Next" button. 5. If your PC supports UEFI, you will see something like "Detected boot environment: UEFI." However, if your PC only supports BIOS, you will see "Detected boot environment: BIOS." That's it. It is that simple to check if your Windows system supports UEFI or BIOS, there is no need for complicated commands. If you think the above method is a bit confusing because you need to go through a maze of folders in C drive and open an obscure file, here is an even simpler method to know if your PC support BIOS or UEFI. We are going to use the good old built-in System Information program. 1. To start off, press Win + R, type "msinfo32" and click on the "Ok" button. 2. The above run command will open the System Information program. Here, select "System Summy" option in the left panel. On the right panel, you can see your BIOS-mode next to the "BIOS Mode" field. 3. 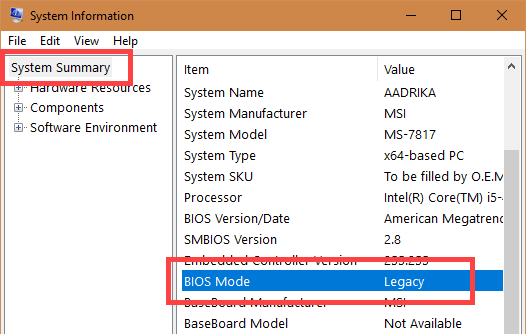 If you see the BIOS Mode as "Legacy" then it means that your PC only support BIOS. If you see BIOS mode as "UEFI" then it means that your PC supports well, UEFI. That's all there is to do and it is that simple to check whether your PC supports UEFI or BIOS. You can use any of the above two methods to know the result with just a few clicks. Hope that helps. Comment below sharing your thoughts and experiences about using the above method to check if your PC supports UEFI or BIOS.